Shiny Black Low Crotch Pants with Stripes. Add tonal stripes to your street style with these mens black low crotch pants. Tapered, drop crotch pants includes a stretchy drawstring waist with braided ties, side and back pockets, and ankle zippers. Attached Velcro flaps wrap around the waist creating a dramatic, multidimensional cut. 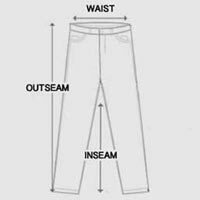 Seroual-style pants made from heavyweight cotton blend brushed with a sheeny coating all over. The unique, draped front is what makes these black low crotch pants for men perfect for intensifying your going-out looks. We recommend pairing these pants with the matching black blazer coat.